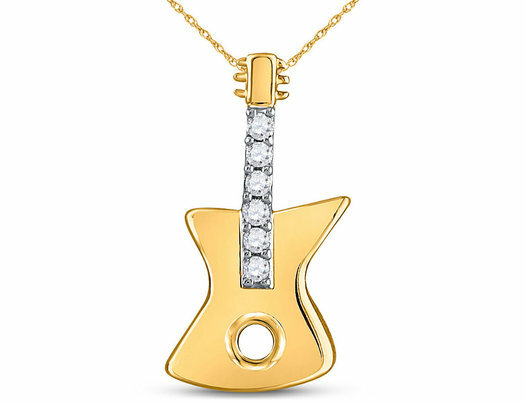 A uniquely designed pendant embellished with 6 white diamonds 1/20 carat (ctw H-I, I2-I3) are pave set in shimmering 10 karat polished yellow gold. This item includes an 18-inch yellow gold chain with a spring ring clasp. This item is 2/3 inches in length and 1/3 inche in width.